When I was in living in Washington D.C. in the early 90's, I attended performances at a great jazz club called the One Step Down. I saw many New York greats such as Mulgrew Miller, Joe Lovano, Marc Copeland, Tom Harrell, James Williams, Steve Wilson, etc... I also saw many local greats such as Rueben Brown, Bob Butta, Lawrence Wheatley, and Shirley Horn(although at that point she was internationally recognized). It was THE jazz club in D.C., besides Blues Alley and Twins, which also had their merits. But the One Step was the REAL jazz club to me. I ended up playing there many times over the years before they closed in the late 90's. But I had many wonderful experiences there. 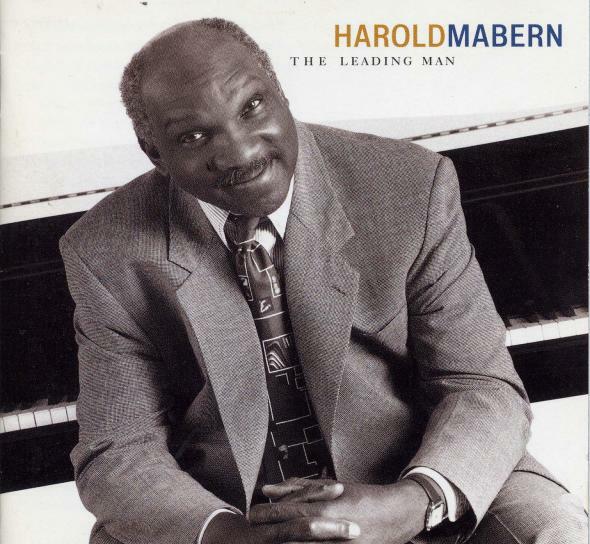 The legend is that Mabern knows at least 5,000 tunes. Yes, jazz students. 5000 tunes. Deal with it. He's forgotten more tunes than you'll ever learn in your life. Well, I can't prove that, but my point is the man knows a lot of music. I heard him do a modern rendition of Steely Dan's "Do It Again" that was, to me, a revelation. He also recorded a great version of Stevie Wonder's "Don't You Worry 'Bout a Thing". I'm saying that he knows tunes from all different kinds of genres. What a fondly remember about this experience at the One Step Down was that Mabern played a wonderful version of the Sammy Cahn classic entitled " Be My Love." 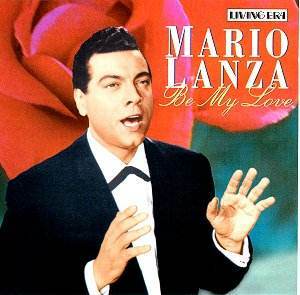 You might know it from legendary tenor Mario Lanza's famous version. Well, Mabern's version was wonderful. He added a kind of pedal point interlude to the piece that was quite inspirational. I wasn't familiar with the tune at the time, but I was curious. That was the last tune of the night. The One Step Down was usually a three set gig, so this was after three 1 hour sets. As the audience was paying their tabs and filing out of the club, I felt the need to approach Mabern and ask him some questions. I tried not to be annoying. 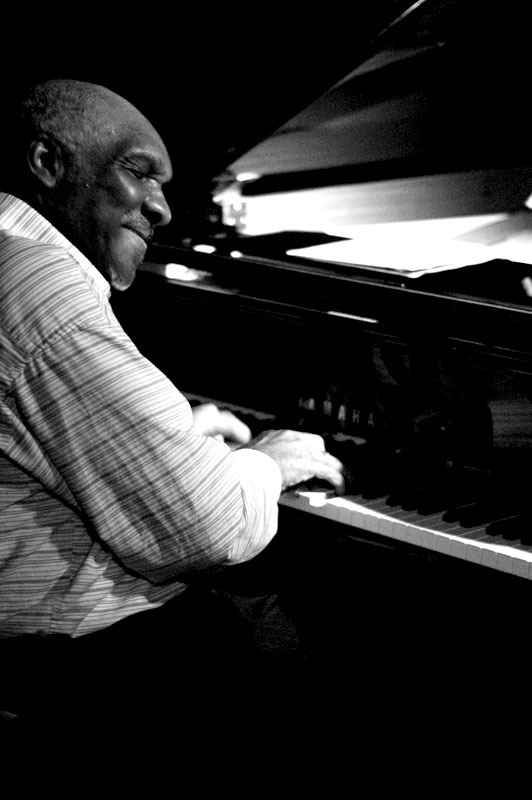 I asked Mabern about the last tune he had played, and when he told me it was " Be My Love", I said, "Wow, I really want to learn this tune." So Mabern said, "Oh, OK, I'll write out a chart for you right now." I assumed he was joking. It was 2 in the morning, he had just played three sets of trio, and was dripping with sweat. I said, " Oh, no, you don't have to do that." But he was already writing on manuscript paper. And he sat there for 15 minutes and made me a chart of " Be My Love." I was floored at his generosity, not to mention his stamina. So he finished the chart and gave it to me and was very nonchalant about the whole thing. He didn't want money or anything. He just seemed to want to impart knowledge. I think about that story now when I teach. While I don't have the depth of his experience, or even that kind of energy, I try to be as generous as I can with what I know. I've written out chords for my students at jam sessions. I've given free lessons to people who couldn't afford it, or who seemed to really need some help. Much of that attitude comes from that experience I had that night at the One Step Down, when Harold Mabern, who could have easily shrugged me off, sat down and wrote me a very detailed chart on "Be My Love." Great story and one needed to offset the "other" kind of stories about people like Sonny Stitt, Miles Davis, Ron Carter and others who have a reputation for being unkind to fans and fellow musicians. I was there and had a great cheeseburger that night. For some reason you didn't mention that part. priorities? As a former student at William Paterson, I can attest to all of that. He has a presence unlike anyone I've ever met. When he showed up to teach it was like a tornado hit. I feel pretty lucky to have experienced that generosity too. James Williams was equally generous. Mulgrew is also a class act...a gentleman, paragon of integrity..
All these Memphis masters seem to have a "Jazz Family" vibe...Remember how James was always giving shout outs to musicians in the audience at his gigs? To everyone, not just famous cats. I wonder if this family vibe came from Phineas? I'm not a musician, but I've seen that side of Harold many times. He plays as beautifully as he is. Glad to hear that he'll be touring again. A beautiful soul indeed. I don't know for sure, but it seems to me that Harold himself deserves a lot of credit for perpetuating (or maybe creating) the "family vibe" that Aaron mentions here. Phineas may have been the patriarch and the inspiration, but Harold's accessibility (as a person) seems to have made a huge impact. The first time I heard James Williams live (at Bradleys) I was 18 and got up the nerve to ask him for a lesson. He smiled, shook his head, and said "You don't want to study with me. Here." And then he took a piece of paper and wrote down Harold's phone number. One of my favorites!! 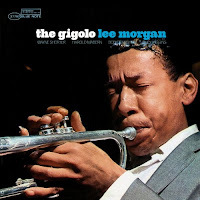 I will never forget when I heard him play at Scullers with the George Coleman Quartet. He sounded incredible. They played the standard "But Not for Me" and I heard him comp Trane changes over the first 8 bars. I had never heard that done before. After they finished playing 2 sets, I asked him about that. He asked if I had some paper. I pulled out my transciption notebook and he wrote out the exact chords for me. I thought that was so cool and generous of him! I have also enjoyed taking lessons with him over the past couple years. He's such an amazing musician and beautiful spirit. Right now, I'm listening to Harold's solo on Julian Preister's "The Stroker" - found on a Lee Morgan album...bundled as "The Procrastinator" which is a 1967 date- but has these rare sessions with Harold, Walter Booker and Mickey Roker from 1969. I am a professional bassist, going on 43 years now. He plays what I like to think of as harmonically inspiring chords... his voicings, placement and time feel are incredible. He and other pianists like McCoy, and Herbie brought this newer post Bill Evans comping to mainstream jazz...I love his work. Hey Harold, if you're reading this- THANKS, man, for the gift of your music! cheap cake toppersFunny Welcome MatsI am a professional bassist, going on 43 years now. He plays what I like to think of as harmonically inspiring chords... his voicings, placement and time feel are incredible. He and other pianists like McCoy, and Herbie brought this newer post Bill Evans comping to mainstream jazz...I love his work. Hey Harold, if you're reading this- THANKS, man, for the gift of your music! Saw him at Dizzy's about five years ago (in Eric Alexander's [non-Ragtime] Band) and he played that Steely Dan tune. When I mentioned his playing on Grant Green's first recordings (with Jimmy Forrest, 1957 I think), he exclaimed, "Yeah, that's right!" (with that firm grip of his!). I remember seeing him many years ago playing an electric piano on a South Street Seaport side-street, and I thought "That can't be him!," but then who else has that distinctive profile? (:^D) I posted something on him (and Wes) yesterday, embedding a great interview someone else did with him. I highly recommend it if you haven't already seen it. 48 years ago this month and next he toured Europe with Wes.